The Amish Fan-back Poly Swivel Glider Chair is sure to add comfort and relaxation to any outdoor space. 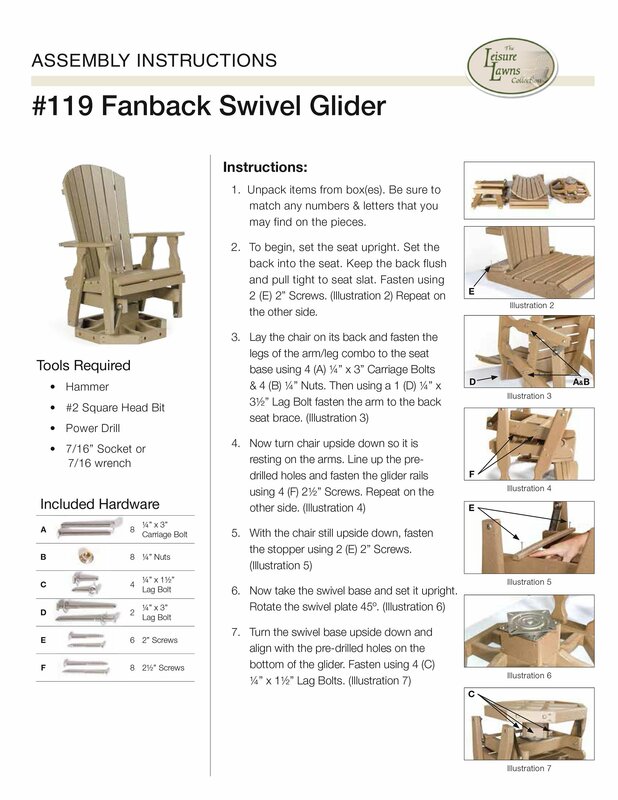 The glider feature allows for optimal relaxation as you have the feeling of floating while the swivel feature provides an easy ability to interact with friends and family, turn from the sun shining in an awkward or uncomfortable place, and simple rotation while supervising kids or grandkids in the yard. 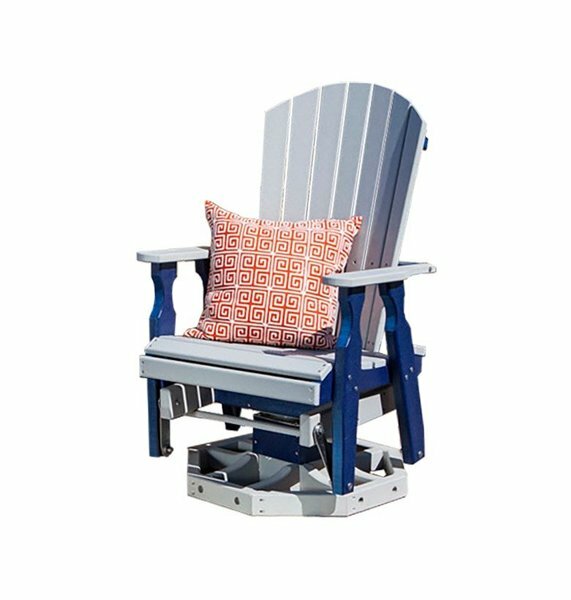 Contact DutchCrafters today to speak with a furniture specialist and inquire about adding one or more of these amazing outdoor glider chairs to your home. Back Height from Seat: 34"
No Splinters, Splitting or Cracking - Always Smooth to the Touch! I received the (replacement) parts a couple days ago (I was traveling). Replaced the parts today. I appreciate your help in dealing with this issue. Good customer service is becoming very rare these days but you have exceeded my expectations. We loved the variety of color choices. The chairs feel solid and comfortable.